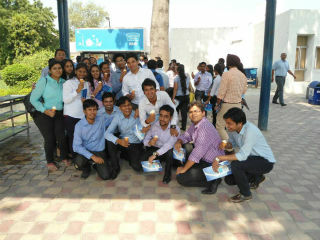 Students of PGDM went for an industrial trip to Mother Dairy manufacturing plant in Patparganj on 9th October 2014. Mother dairy markets approximately 3.2 million litres of milk daily in markets of Delhi, Mumbai and Hyderabad. The plant is located within the ambit of lush green environment and has state of the art technology. Mr. Jose, Factory Operations Manager gave a presentation related to the history of Mother Dairy Plant. 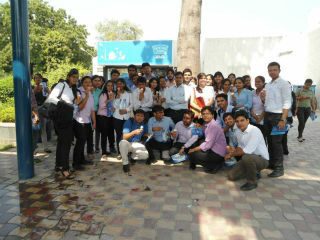 He told students about the white revolution and primitive and newer modes of milk collection and distribution. He also told about the actual milk processing capacity of the plant with the significance of the steps in processing.